Looks like the press conference made Virginia Governor Ralph Northam's blackface scandal worse. Governor Ralph Northam’s (D-VA) "moonwalk" press conference may go down in history as a textbook example of how to flub a crisis communications response, say PR pros. 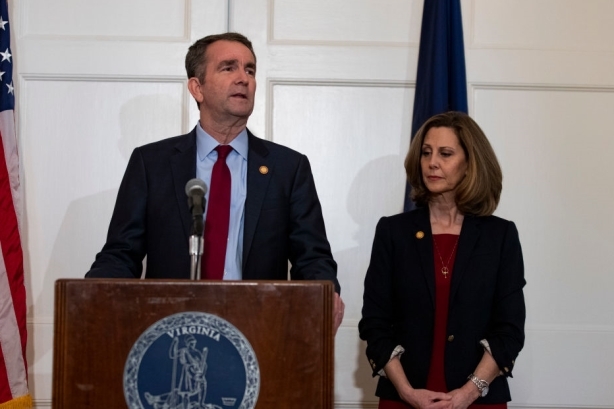 Northam held the press conference on Saturday to refute claims that he appeared in a blackface photo that prompted resignation calls, even though he had previously fessed up to being one of the men in the picture. During the presser, he also admitted to once darkening his face for a Michael Jackson costume. When a reporter asked Northam if he could still "moonwalk," the dance made famous by the late pop star, the governor’s wife Pamela Northam had to tell him the circumstances were "inappropriate." PRWeek asked four PR pros to weigh in on the press conference. Below are their responses. Northam entered the room in a very bad position, having initially sent a message on the first day that he may have been in the enormously disturbing photograph. There is no way that he could have resolved the situation with a press conference the next day. What struck me was Northam’s demeanor – smiling at times as he addressed the media, instead of being somber and showing that he was remorseful for having hurt so many. Even before the "moonwalk moment," his body language suggested he did not understand the gravity of the situation and it undermined his message. This will be a case study to show clients the importance of proper body language in supporting your message. True story: Years ago, a magazine published its list of the 10 dumbest congressmen. One of those listed actually held a press conference to say he wasn’t dumb. This one ranks up there with that misstep, and at least PR professionals now have a living video example to use when media training clients. He made too many mistakes to count. First, the initial 24 hours in crisis determine your future. He waited too long to respond to the crisis and then making things worse flip flopped in his response. Speed and consistency count in crisis communications. Second, never repeat the negative. Saying, "I don’t know if it was me in the picture but there was another time I wore black face," was borderline insanity. I think we were all wishing he would have moonwalked off the stage, never to return again. If you want a case in what to do wrong in a crisis, watch this press conference and cringe. He showed absolutely no empathy, sympathy, or understanding of what people were upset about in the first place. Northam should have validated the real concerns the public has about his past actions, and point to what he's done since then to make it right. If Northam truly believes he was not in that picture, he is welcome to say so, but the claim holds no water after his knee-jerk initial reaction.